Campingplatz Stover Strand International es un camping en Stove/Hamburg, Baja Sajonia, situado del río/arroyo y al borde de un lago/estanque de recreo. El camping tiene plazas con cercos, sin sombra y parcelas con algo de sombra. Campingplatz Stover Strand International se encuentra junto a una playa de arena. Cabe alquilar tiendas de campaña, caravanas, caravanas fijas, habitaciones y bungalós. El camping dispone de parque de recreo y de terreno de deportes. Para los excursionistas, el camping ofrece programas de excursión, marchas guiadas y varias rutas para bicicleta. Hay un programa de animación. Para aquellos que desean relajarse después de una dura jornada, hay sauna. En los alrededores, podrá nadar en el río/arroyo. En el Campingplatz Stover Strand International se autoriza windsurf y esquí acuático. Pitch next to the Elbe, including 1 person without dog. If you want to book more than one person, please book camper 1/2 persons with dog. Este inspector visita cada año al Campingplatz Stover Strand International y lo inspecciona considerando más de 200 servicios y otros aspectos importantes. El inspector es un trabajador de ACSI y no trabaja para el camping. Toilet facilities were terrible too few for the number of campers etc crammed into every available space haphazardously.. So were the washing up facilities, which were open air. so what happens if it rains?? Also the instructions on how to get to the campsite were useless. There are no road signs to Ronne! This site has a lovely location on the banks of the River Elbe, with cycle paths in both directions. However, shower facilities were inadequate in the area beside the river where we were placed. Allocated shower time, on tokens, very short indeed and water cold on one of the days we were there. Normally, the acsi deal guarantees a 4 minute shower but it was nowhere near that and I had to leave the shower when the water stopped abruptly, having just put conditioner on my hair. So disappointed. Pre-Booked here for 2 nights. Promised a "nice spot". When we arrived we were directed to the area by the river, outside the main site, which was packed. Our pitch was so small we couldn't open our awning fully. It was a long long walk to the shower block (modern and very smart). Motorhome waste was very busy. We only stayed one night. The worst site we have stayed at. Large site and very busy weekend with Hamburg Harbour festival. Allocated pitch in overspill field alongside river with fairly basic facilities in portercabins, clean with hot water but showers only 2 minutes. Larger and better facilities on main site across the road and shower an acceptable 4 minutes for 1Euro. Free wifi and good walks along river Elbe. Approx 40kms from Hamburg. Staff not very informative. Glacial and rude reception that doesn’t accept MasterCard, nor Visa. We thought we’d sojourned in the actual campground, but no ! Staying for only one night on our way to Scandinavia we were unkindly sent 300 m away, over a dike in a grassy muddy field neighboring a river. Needless to say that the field was impracticable as soon as it rained. There’s more : prepaid internet doesn’t reach the muddy field, there’s no proper toilets, showers, kitchen on that side of the dike and the "real" campground is quasi-exclusively populated by local residents… We came once but never again ! We had difficulty finding this site due to poor signage and a long diversion for roadworks. The main part of the site is very congested, with many seasonal vans, but we were sent to the area near the river. This is much less crowded, but a very long way to the shower block. There was however a Portacabin with basic toilets near our pitch, also dishwashing sinks and drinking water. However, the only place to empty larger amounts of grey water and your chemical toilet is at the motor home service point at the gate, which is also a long way away. For these reasons we were disappointed with the site and only stayed 2 nights. This site has touring pitches in amongst their static mobile homes. Some pitches are not well defined and not too level. It is a very popular campsite in summer months because of the beach nearby. There were many motorhomes and caravans on the aire which is outside of the campsite across the road and much nearer the beach. These campers could still use some of the pay-as-you-go campsite facilities, and I would consider doing this next time now that we have seen how this could work, even in a busy period like July. The campsite is ok but not great on anything. We had a great time here. Really helpful staff who provided information about getting to Hamburg. Bikes were on offer and we hired these; maps were provided. ¿Desea reservar u obtener más información sobre su camping Campingplatz Stover Strand International? Puede hacerlo mediante los datos siguientes o a través de la web del camping. A7 Hannover-Hamburg, sal. Maschener Kreuz dir. Winsen/Lüneburg. A39, después sal. B404 dir. Geesthacht. Sal. en Rönne dir. Stove. Siga la calle Stover Strand hasta el final. 2º camping al final de la vía de acceso. 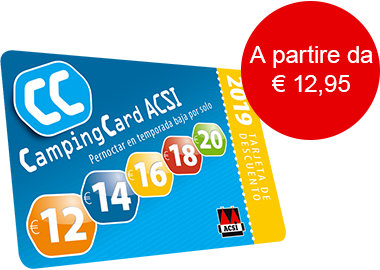 ACSI Eurocampings reenvía su solicitud de información al "Campingplatz Stover Strand International".